The folks at Mad Men are making it hard for me to write this weekly column. I blame the marketing folks who have turned Don from a bourbon and rye drinker into a Canadian Club drinker this season. It does seem to be the drink of choice in his office. I do realize that Pete ordered a Dewar’s on the rocks, but do you really want me to struggle through scotch again? 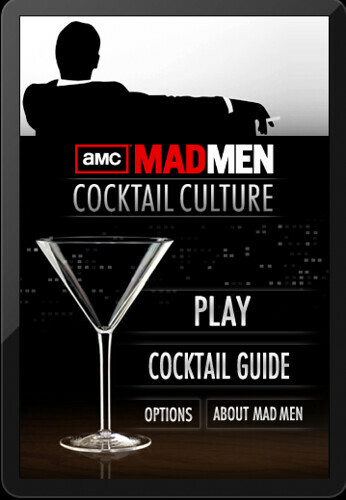 Instead, I noticed an ad go by for the Mad Men Cocktail Couture iPhone app. Well, I don’t have an iPhone, but I have an iPad, so I downloaded it and started to play. The app is restricted by age, so keep that in mind. Can’t have the kiddies downloading the cocktail guide, you know. It is a cocktail guide, but it’s also a game. I like that the game tells you where or who to associate the drink with in the show. 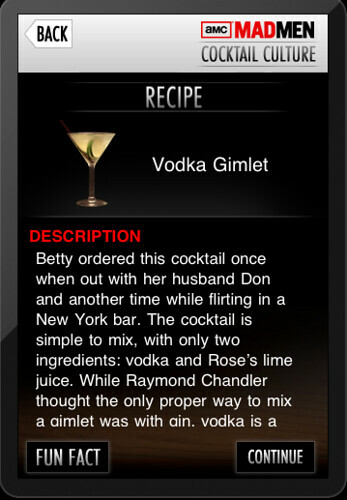 For instance, Betty has had a vodka gimlet when out with Don and when she went to pick up a guy in a bar. In order to score points you have to use the accelerometer in the phone to pour the exact amount of vodka, which is fun. If a shaker is required, you have to shake the phone, and so on. At the end of it all, assuming you have made a successful cocktail, you can tip your iDevice and “drink” your creation. The game really is fun and it does include recipes, which could be useful on the spot, but off the top you can only access the vodka gimlet. 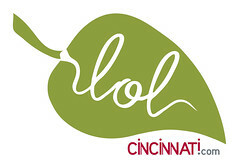 To view and play the 20 other cocktails (including a Manhattan, Tom Collins, and Old Fashioned), you need to pay $1.99. I have mixed emotions about this. In essence, you’re paying AMC and iTunes $1.99 to be marketed to. On the other hand, if Don Draper were working for Ogilvie or BBDO in 2010, he’d probably think that was a great idea. It does sort of work with the show. As far as the show last night, I’m rooting for Peggy. I rather like that she’s stumbling into 60s era “fun” New York and is seeing a little more of what’s out there beyond a husband, kids, and house in the suburbs. Allison? Well, she should have known better than to even assume there was a chance with Don. Let’s just cross our fingers that she isn’t pregnant. Why can’t all of the office girls be as in control of themselves as Joan? Finally, I sort of miss Betty. There’s a certain brand of evil that she has mastered and I miss seeing it. Based on next week’s show, she may be back in the picture a bit. What did you think of last night’s episode? @winemedineme I dont liek coffee either. I’m SO uncool. @verybigjen Coffee is totally an acquired taste. I just recently acquired a taste for olives and scotch. @winemedineme I only recently can stand small amounts of sauerkrut and pickles on things. @winemedineme doesnt help that I was forced to drink coffee in kindergarten, kinda puts me into PTSD now, lol cant even stand the smell. @winemedineme Walking into starbucks is intolerable, so I never do. @verybigjen yick! that’s not even cool. kindergarten? @winemedineme doctor ordered for hyperactivity. caffiene is a depressant to adolescents not a stimulant. 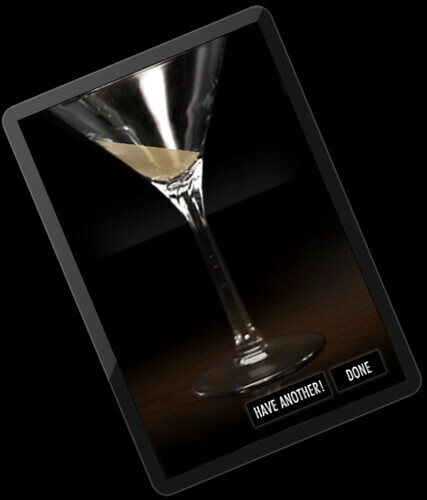 As we’re on Mad Men Monday: Cocktail Culture iPhone App My Wine Education, The touch technology, along with wonderful applications on provide from many an offshore iPhone software specialist makes this gadget the option of millions.